Is Google About To Push Out A Very Unpolished Chrome OS? Tomorrow, Google is hosting a Chrome event in San Francisco for the media. While they won’t say exactly what it’s about, it seems likely that both the Chrome Web Store and Chrome OS will make an appearance. But no shortage of bug reports in the open source code area make me wonder if the latter is sort of a rush-job. 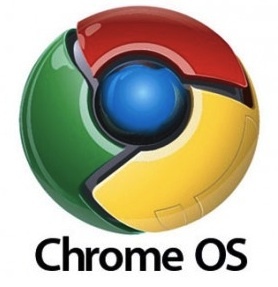 Since they first unveiled Chrome OS to the world last year, Google has said that they wanted to release it this year. And despite some talk of delays, Google reiterated recently that they would indeed have something to show this year. But they would not say if such a product would be in beta form — even though there are many indications in the aforementioned bug reports that indicate that will be the case. And some of those bug reports are a little worrisome. Again, we’ve heard that the Atom-powered laptop isn’t going to be a mass market device — there will only be around 65,000 units available to Google’s closest “friends and family” — and that the Cloud-based OS is still very much in a beta, non-consumer-friendly state. So is Google simply rushing the product out there to technically meet their promised 2010 deadline? They had also originally named a number of OEM partners at the launch. But it would appear that this first iteration will be a Google-branded netbook produced by one of the partners (codenamed “Mario” perhaps? ), while other units will have to wait until 2011. I become mad with rage because the trackpad is so flaky. Sometimes it loses a click, ending a drag somewhere in the middle. Sometimes it decides that I clicked even though my fingers aren’t even close to the trackpad. Sometimes the mouse cursor jumps around randomly. That’s not good. He continues to say that “The trackpad is way way better than it used to be, but it’s still very hard to use.” As of yesterday, Google had yet to address this issue. It’s not clear from the report if it’s just one type of machine affected, but the latter quote would seem to suggest that it’s a wider issue. Further, while the report didn’t state the exact device in the correct place, it does note that it’s a “dev x86-mario” machine, likely the one we’re going to see tomorrow, running the latest build of Chrome OS. And there’s more. According to this bug, as of today, sync isn’t working. This is a vital feature to the whole OS, obviously. Here’s an issue with the power button. Here’s a pretty big cellular/wifi switching issue. Here’s a system update bug. A battery calculation problem. The list goes on and on. Now, obviously the open-source nature of Chrome OS gives people like me a huge peek into issues I wouldn’t normally see if say a Windows manufacturer or Apple was about to launch a machine. But some of these alongside the various reports of the system launching in early beta mode do have me concerned. And it’s fine if Google only intends for these machines to go to “friends and family”, but presumably some members of the press are going to get their hands on them as well (we’ll be there tomorrow, for example). Certainly Google has to know that if the machines aren’t up to snuff, journalists are going to call that out. Or perhaps they’ll just make some last minute executive decisions to kill off certain features that aren’t working yet. Clearly, that has already been going on behind the scenes as you can also see in the bug reports. But some of the hardware/software issues will definitely need to be resolved, not pushed. A lot has changed in the past year since Google first gave us the rundown of Chrome OS. Netbook sales have cooled, the iPad has come into existence, and Android has exploded in popularity. Oh and the key architect of the entire Chrome OS project, Matthew Papakipos, left Google over the summer — for a job at Facebook. At the time, Google said not to read into that too much, that they have a very deep bench of talent. That’s undoubtedly true, but given the current landscape, Chrome OS needs to be polished at launch, not tarnished.